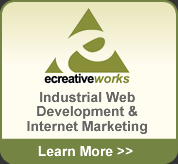 The Industrial Marketplace Web is an industrial company and product directory created to educate and share information with new comers, marketers, sales representatives, buyers, specifiers and engineers in the Industrial Marketplace. New comers to the industrial market can browse our product & services directory to learn more about the many different services and solutions within the industrial market; engineers, specifiers, and buyers can use the directory to find direct solution providers; and industrial companies can use the Company Profile Directory to promote their business. The Industrial Marketplace Web is your growing resource for content, companies and references for services and products from CNC machining and metal stamping to robotic depalletizers, thermal oxidizers and plastic injection molding. The Industrial Marketplace Web offers detailed descriptions of the various industrial products and services, the latest news and press releases within the market, and our directories steer you painlessly to the solution providers you’re seeking. If you’re looking for specific information within the industrial market, the fastest route to answers is to use the search box at the top of the site. If you’re interested in a more general overview you can browse our company profile directory, services & products directory, or check out the latest industrial market news. Contribute Today, Add Content or Create a Profile! We encourage you to create an account with The Industrial Marketplace Web and add information and articles yourself, or submit a contact us form and send us your thoughts and ideas. Once edits have been approved your content will go live! The Industrial Marketplace Web is a shared resource within the industrial market, and we encourage you to make use of it to promote your business and communicate with potential customers. If you want to create a company profile complete our profile submission form and an Industrial Marketplace Web representative will contact you within 2 business days. BROOKFIELD, WI (April 3, 2019) – Trace-A-Matic Corporation continues to invest in manufacturing technology to ensure the highest level of machining tolerances and efficiency for its original equipment manufacturing customers. Electronic products include batteries, AC/DC power supplies, electrical circuits, sensors, alarms, and other products used to power and connect devices and equipment. Daitron Incorporated is a contracted stocking distributor of electronic products including batteries, low-noise AC/DC power supplies, semiconductor and board level components, connectors, and more. The company’s diverse business divisions serve a broad range of industries including industrial, medical, semiconductor, solar cell, and others. Daitron distributes a wide range of products including capital equipment, electronic components, optical and image processing equipment, power supply equipment, and power supply products. Together, their business divisions serve industries including electronics, solar cell. semiconductor, transportation, heavy-duty industrial, and medical and biomedical. Medical suppliers provide parts and instruments used in the manufacturing of medical devices and equipment. These products include adhesives, screws, fasteners, IV products, electronic components, trauma kits, tubing, sterilization equipment, and much more. The manufacturing of these products must adhere to strict FDA regulations and often requires rigorous testing to ensure quality and prevent product failure. Mahe Medical is a market leader and pioneer in manufacturing ISO certified, FDA approved products for the medical industry. They provide high-quality products to medical device companies around the world and work with medical professionals to design and develop new products for the healthcare market.